I first encountered the idea of creative visualization after watching my fellow Briton Linford Christie with the Olympic gold medal for the 100m at the Barcelona Olympics in 1992. As I watched the TV coverage of the final, I noticed something different about Christie. In the minutes before they were told to take their marks, all the other athletes appeared nervous. Some were pacing, others were looking around or shaking their limbs. All seemed, to a greater or lesser degree, to be trying to distract themselves from the momentous challenge that lay just a few moments ahead. All except one, that is. 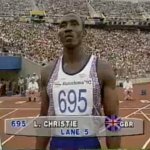 Linford Christie stood very still, his face displaying great concentration and focus, his eyes staring down the track at the finish line. His head nodded very slightly as if he was listening to a beat. You can see what I mean by watching this video. Christie is number 695. Christie took home the greatest prize in athletics and I was intrigued to find out what it was that gave him the edge over the other seven immensely talented and highly trained athletes present that day. Soon afterwards I read that he had been working with a sports psychologist and had been introduced to the idea of creative visualisation. What Linford was doing in the moments before the gun sounded, was running the perfect race in his mind, imagining himself crossing the finish line and taking the tape ahead of the other athletes. He played the movie over and over in his head, sending a powerful message to his subconscious mind about what it was expected to achieve. So what does this have to do with us mere mortals? At this time I was working as a fitness trainer, and I decided to try the technique both on myself and some of my clients. The results were startling, much better than my normally skeptical mind had anticipated. Dramatic improvements in performance were achieved with no extra physical training. It was now clear to me that something remarkable was happening, that the human mind has great potential that most people are not even aware of. Then I read a remarkable book called Psycho-Cybernetics by Maxwell Maltz. 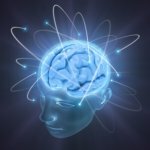 The book explains in very straight forward, logical terms (once again perfect for a natural skeptic) that the human brain is a tool which we use. It acts like a goal-seeking mechanism. The conscious part of us simply has to set clear goals and focus on them regularly, and the subconscious part of our brain will then work away to take us towards those goals. We do not need to be consciously aware of how we are going to achieve the goal or goals. We just have to keep focusing on them intently every day and our subconscious takes care of the rest. To help us understand how this can possibly be, Maltz pointed out that each of us already does this every day. When you reach to pick up your cup of tea from the table, the only conscious thought you have is 'pick up the cup of tea'. Then your body, guided by your subconscious mind, automatically achieves the goal for you. Most people could not locate or name all of the muscles involved in picking up the tea. Even if they could, they could not consciously explain all the bio-chemical processes which take place to enable the various muscles to contract just the right amount to move your hand to the cup and cause your fingers to grasp it. A well-trained biologist might know all these things, but even (s)he would be unable to consciously give all the intricate instructions in such a very short period of time. All we have to do consciously is command: 'pick up the tea'. The rest is taken care of for you by the miraculous goal-seeking machine that is your subconscious mind. Wonderful miracles like this occur every minute of every day of your life. Most don't even require your command. Incredibly complex processes take place all the time to keep you alive. Breathing, blood circulation, digestion, maintenace of body temperature and pH, the fighting off of infection, to name but a few. Most of us take these things for granted, but if you stop and think about it for a moment, it is truly amazing what a fantastic miracle machine we have at our disposal. When setting goals in life, we often sell ourselves short because we start to think too much about how we are going to achieve the goal. We often write things off as impossible because from where we are standing, we cannot see how we can possibly achieve them. But think again about picking up the cup. You have no conscious knowledge of the many intricate steps which enable you to achieve that, yet you always achieve it. This is why creative visualisation is so powerful, because it taps into the massive (some would say infinite) intelligence of our subconscious mind to achieve whatever we want in life. All we have to do with our limited conscious mind is set the goal and keep focusing on it regularly. Our subconscious does the rest for us. It will lead us to meet people, discover things and have ideas that our conscious mind cannot possibly be aware of in advance. Those who have a less scientific background than I do might refer to this as synchronicity, creativity and intuition. Some might refer to what Maltz calls the subconscious mind as a collective higher intelligence or The Universe, or God. For practical purposes, it doesn't really matter what we call these things. All that matters is that we realise that we don't have to spent hours thinking and planning how we are going to achieve our goals. We don't have to become demoralised because from where we currently stand they appear impossible. All we have to do is ask ourselves 'what do I want?' without limiting ourselves in any way. Then we have to tell our subconscious what the goal is, by regularly visualising it until we know without doubt that it is going to happen, just as we know without doubt that the tea is going to be picked up. Then let the wonderful miracle machine do the difficult part!